I'm really delighted to bring you another post in my series of interviews featuring some of the beautiful brides for whom I have made jewellery and accessories. Lynne commissioned a tiara, hairpins and a necklace and earrings set for herself, and co-ordinating necklace and earring sets for her bridesmaids. At what stage in the whole wedding planning process did you start thinking about your jewellery and accessories? As soon as I had my dress ordered I started thinking about jewellery and accessories and having a look online to see what was available. How did you hear about Gioia Mia? I heard about Gioia Mia through The Scottish Wedding Directory website using their search page. How did you decide what jewellery and accessories to wear? 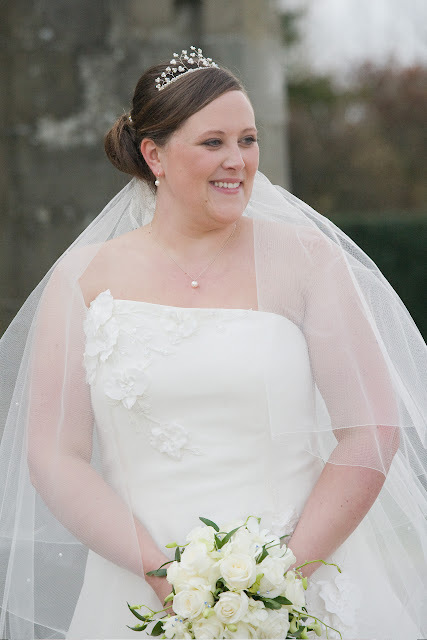 I wanted to keep my jewellery simple as I wanted my dress to be the focal point with the orchids on it but also wanted some sparkle to catch the light, especially for my tiara and hair pins. 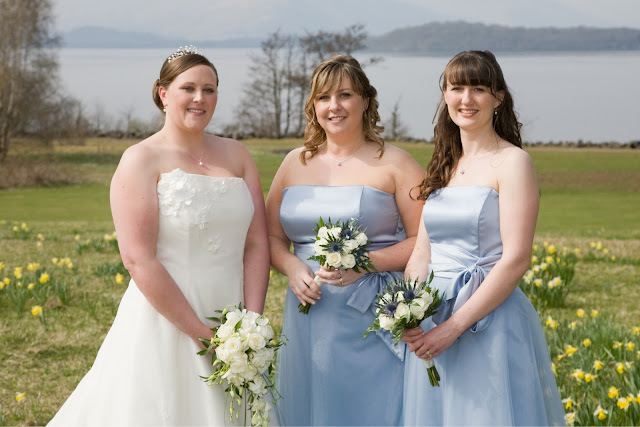 I also wanted by bridesmaid's jewellery to be the same as mine, but to match the colour of the dresses they were wearing. 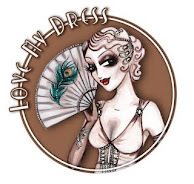 I met up with Lynne in her lunch hour one day and we had a good chat about her beautiful dress and about the ideas she already had for her pieces. She wanted a high tiara with an organic feel to it. So I designed a piece with lots of little leaves and branches made from small, white Swarovski pearls and clear crystals to catch the light as she moved. 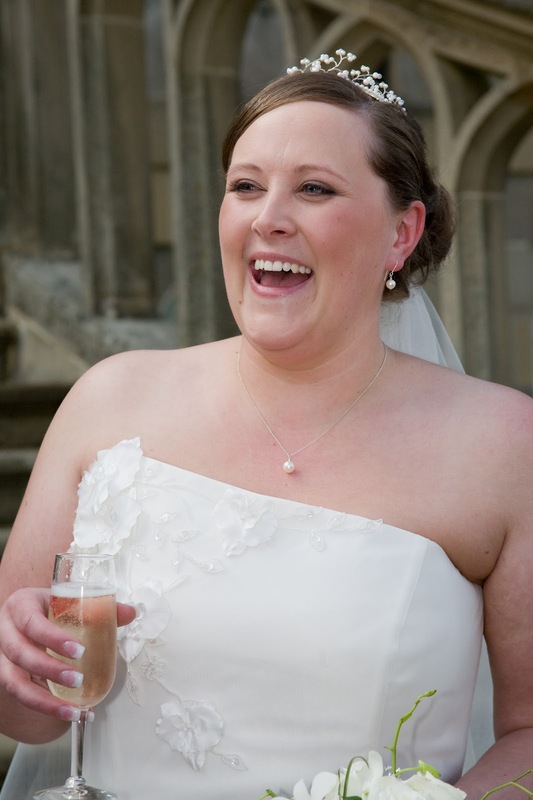 Her necklace and earrings were simple Swarovski pearl drops, perfect for the understated elegance she was after. We matched the colour of her bridesmaid's jewellery to the sample of fabric she had brought along. What did you enjoy most about having your jewellery and accessories designed and made for you? I knew I was getting what I wanted both in style and colour match for my bridesmaid's dresses, and also I knew that I was getting a one off tiara that I adore! All my jewellery tied in beautifully with the day and what my bridesmaids and myself was wearing. It was so exciting picking my jewellery up and seeing it for the first time. Is there any advice about jewellery and accessories that you would give a bride to be? Have a good look around before picking something, there are so many websites with such a large selection to choose from it can be quite a daunting task and if you have an idea and you don't see it anywhere or you want something special then you always have the option of getting it made especially for you. If you would like to arrange an appointment to have a chat about your own designs and ideas please do drop me a line! You can email me here. Appointments can be arranged for afternoons and evenings, weekdays or weekends. I work from a light and airy studio space in Miller Street, in the centre of Glasgow.